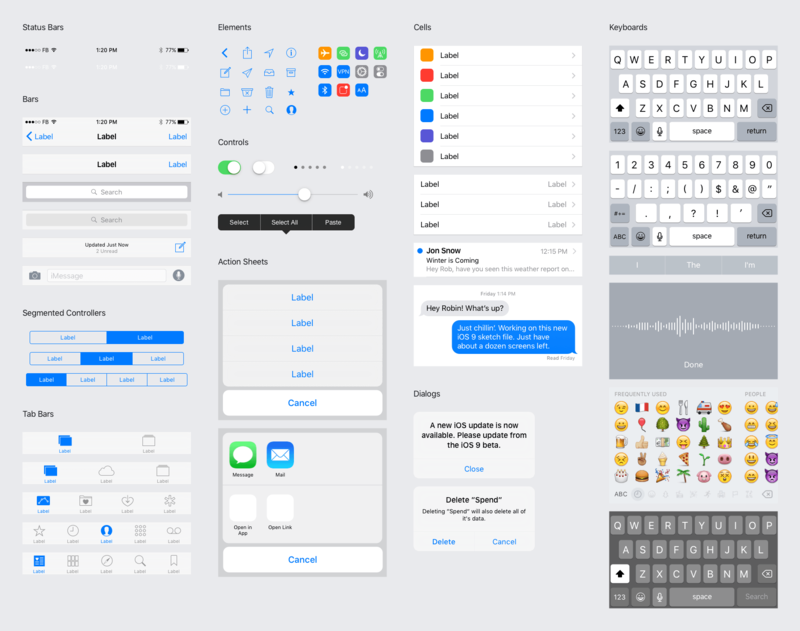 Ever since Teehan+Lax transformed into something different and Facebook-ish, I’ve been all but wonder: what’ll happen to their otherwise fantastic iOS GUI Sketch? Good news is that it’s part of Facebook Design now and it is now meticulously recreated for iOS 9. You can download the whole thing here. There is more: they made available the diverse Origami device hands, which is also excellent for design work, and they have a good spot for learning about the design at Facebook.